Funeral services for Mrs.Geraldine Sanders Wells, age 74, will be conducted on Tuesday, November 27, 2018 at 2:00 PM at Fairview Baptist Church. Burial will follow in the church cemetery. The family will receive friends on Monday evening from 6-7 at Pratt Funeral Home Chapel. Born in Newberry County, she was the daughter of the late Frank Sanders, Sr. and the late Eloise Wilson Sanders. She was a devoted and faithful member of Fairview Baptist Church for over 60 years. 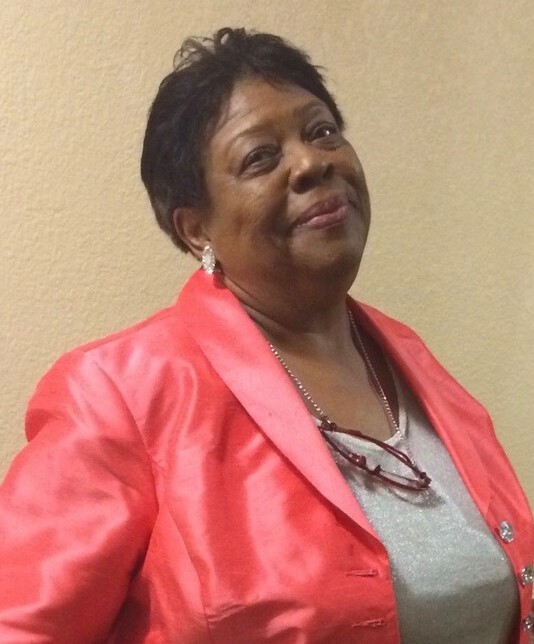 She was the Usher President for the New Enoree Baptist Educational and Missionary Association from 2011-2017 and was honored for her service on June 11, 2017; former President of the Fairview Baptist Church Usher Board, Vice President of the New Enoree Baptist Congress of Christian Education, Registrar for the National Baptist Convention, President of Lodge # 39 African Protective & Burial Society and a member of the Women's Home Aid Society #36. Mrs. Wells was a graduate of Gallman High School and Paine College in Augusta, GA., class of 1965 with a degree in Math and Philosophy. She retired from the S. C. Department of Corrections-Women's Center after thirty plus years of service. Mrs. Wells was predeceased by her husband, Otis Wells, Jr., brother, Frank Sanders, Jr., step-daughters, Jacqueline Jeter and Glenda Singleton Stephens; stepson, Edward Wells. Surviving are a son, Maurice D. Lucas (Marilyn) of Newberry, SC; daughter, Michelle Lucas-Bodrick (Randy); two granddaughters, Tiffany Rayford of Abbeville, SC; Rayanna Briggs of Blythewood, SC;, four great-grandchildren, Amaru, Alani, Tayden and Lindan; one sister-in-law, Cynthia Sanders of Columbia, SC; devoted cousin, Mary Williams of New York, countless cousins, nieces, nephews, other relatives and friends.